Women in Business… This expression may have sounded weird in the beginning of the last century. Not anymore! Several women in different corners of the world prove that women can be successful in the world of business just like men. Hey folks! You are probably aware of the expression “Men are the hunters, women are the gatherers”. In other words, men are responsible for income, whereas household is women’s domain. However, at the end of the last century, major upheavals added some girl power to the world of business, didn’t it? Currently, the words “businesswoman” does not sound as strange as it used to. That’s because women in business are quite successful. So, today we are going to represent the leading entrepreneurs in various fields. These ladies break stereotypes, make bolder moves to prove that a women-owned business can become a leading trend, redefine industries and make the world a better place for everyone. Here are 10 CEOs and owners of businesses who believe in the unlimited strength of women in a “men’s” world. Do you know this company, guys? Probably you have already guessed all about its products: 7Up, Pepsi, Mountain Dew and Mirinda! Your favorite fizzy drinks, right? In a nutshell, Pepsico is one of the most popular companies and the second largest beverage and food business in the world by the net revenue. There are various of reasons for this success. But one of them is probably is the devotion and commitment of its CEO- Indra Nooyi. Due to this businesswoman, the company’s annual net profit rose from $2.7 billion to $6.5 billion. Actually, our list couldn’t do without Nooyi! She is a good example to show that women in business can be quite successful regardless the tough journey she has to take in that sphere. Due to her achievements, she was ranked the 2nd most powerful woman on the list of “Fortune” in 2016. As a leader, Indira Nooyi knows how to be grateful to her employees for devoted work. She writes over 400 letter to their parents expressing her gratitude. Such attitude is one of the pillars of her success. As a real businesswoman, she highlights that women in business still face some disparity at work but she also advises to strive for equality. We have been in this revolution for decades. First, it was just getting entry into this boy’s club…. We clawed our way into this revolution at the workplace, then we needed parity at pay. Not yet there, we are still fighting for that. We have to have equal treatment. We need to be treated as equal. By the way, this equality warrior and mother of two, earned $19,087,832, including $5.5 million of equity. Sweet loves, it’s high time for you to discover famous women entrepreneurs of your favorite brands such as Cadbury, Oreo, Halls and Trident. Actually, Mondelēz is the company that produces them. It is a world leader in chocolate, biscuits, gum, candy, coffee, and powdered beverages. In 2016 this US-based Armenian appeared in the list of most successful US businesswomen. “Forbes” magazine put the 49-year-old Carolyn on the 26th place. Carolyn Rafaelian owns “Alex and Ani” jewelry company which was founded in 2004. With her $700 million net worth, she is one of the richest women in this business. And can you guess which group of influential women she joins? Carolyn Rafaelian joins the impressive group of fashion moguls such as Tory Burch, Sara Blakely and even Vera Wang. Fashion is truly women’s domain, isn’t it? A businesswoman Margaret or Meg Whitman comes to prove that women-owned businesses are not only about fashion or food. Women can cope with hardware and software companies as easily as men do, sometimes even better. 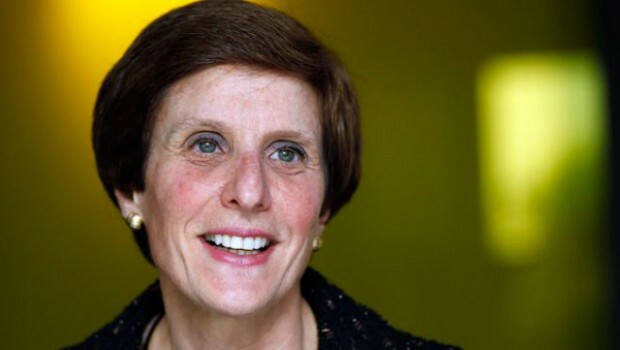 Before becoming the CEO at Hewlett-Packard, Meg was the president of the world known eBay for 10 years. Her MBA from Harvard probably helped her to take eBay from $5.7 million to $8. Billion. Then already at HP Enterprise, she oversaw the company’s split into HP Inc. and HPE. By the way, this enterprise provides technologies and solutions to businesses and consumers. So, who can firmly state that business management and increasing profits are male stuff only? Besides, her real-time net worth is $3 billion. One more thing about this successful businesswoman: she manages both her career and family life incredibly well. As one of the world’s richest women in business, Meg has always spoken about the difficulties of being female in a workplace. However, she admires the new generation of women who speak against inequality and advises to keep doing it. Marillyn Hewson is the president, chairwoman and the CEO of Lockheed Martin. Are you aware of this company? If not then read VERY attentively. It is the world’s LARGEST DEFENCE company and employs 97.000 people worldwide. Seems that women have nothing to do here, but that’s not the case. Marillyn has helped to double the stock price of the company. Investors actually trust her visions for future. As a compensation, she made nearly $19.422.118. Thus, she has become one of the highest-paid female CEOs. SlideShare is a Web 2.0–based slide hosting service. Users can upload files privately or publicly in the different file formats. The website has 70 million unique visitors a month. It also has about 38 million registered users. The notable users of SlideShare are The White House, NASA, World Economic Forum, etc. So who do you think stands behind this hosting service? A woman, of course! An intelligent business woman! The Indian Rashmi Sinha is the one who stands behind the world’s largest company where one can share presentation. One more thing about Sinha. She is included in our list not only as a successful businesswoman. She has a special management philosophy which makes her unique. And there is nothing difficult or hard in that philosophy. All she does is to come to work on time, check her e-mails first and try to answer them as soon as possible. So, keep in mind these tips. They can be the key to a successful women-owned business. Sara’s Spanx has an extremely girlish background. Quite a good example of “girl says, girl does”. Besides, never underestimate a woman who wants to look better. This is what happened to Sara Blakely when she made up her mind to establish Spanx. She loves to say that “It all started with a pair of pantyhose, some bright idea, and scissors”. Initially, she invested $5000 to start her business. Today she sells her products in 65 countries. Her real-time net worth is $1.12 billion. Can you imagine? This is what we call the true spirit of women in business. There is actually a bunch of stuff to learn from Sara, girls if you are ahead of your business career. But always keep in mind Sara’s best advice “Believe in your idea, trust your instincts, and don’t be afraid to fail.” So isn’t she inspiring enough to be on our list? It doesn’t matter whether she is a CEO, president or the owner of the company, it’s women’s nature to shock. Undoubtedly, women are unpredictable. And this is what happened to current Yahoo CEO. She just left everyone speechless when announced she was leaving Google to be a CEO of Yahoo. 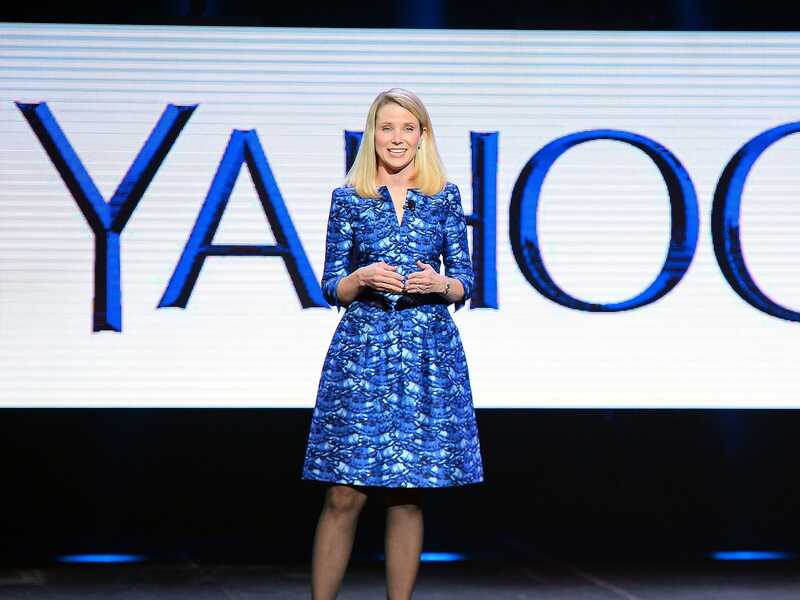 In her new position, she tries to balance Yahoo’s franchises. Mayer also oversaw a major personnel policy change at Yahoo! It required all remote-working employees to convert to in-office roles. Her net worth is $540 million. Most part of which she made at Google. Mayer was in the spotlight when she returned to work just two weeks after giving birth to her baby. Some agree that she set a standard that mothers can successfully run a company. So, mothers and future mothers, never limit your power! Ladies, you must have heard about iconic wrap dresses! The owner of the fashion company that produces the dresses and fashion designer Diane von Furstenberg is an inspirational woman. This Belgian lady started her business with $30.000 and today she is at the top of fashion industry. Her brand now includes handbags, shoes, jewelry, and accessories. All of them are sold in 55 countries. DVF has 148 stores all over the world. However, Diane is not alone in her business. She shares ownership with her husband. BTW, he is media billionaire Barry Diller. Her own net worth is $300 million. Diane von Furstenberg is an amazing example of women’s way to the very tops of fame. Women are successful not only in fashion or other spheres but Television as well. Mosunmola Abudu is the proof of it. 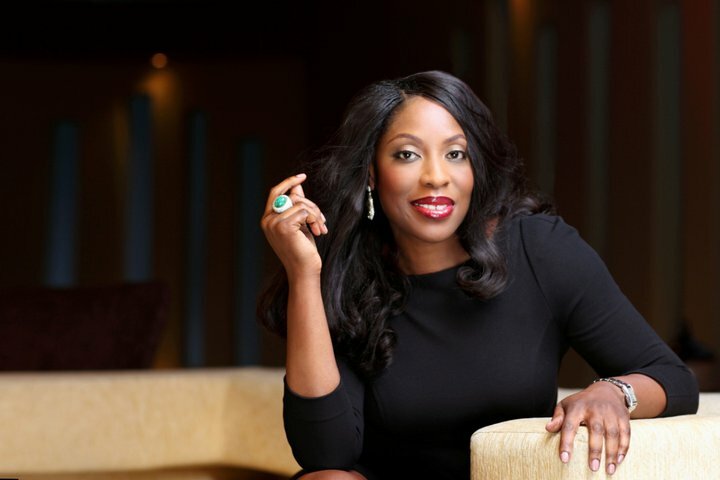 This successful lady is the chairman and CEO of one of Africa’s most powerful new media ventures — the Nigeria-based television network, EbonyLife TV. It tends to rise African voices and tell stories coming from Africa. By establishing the TV network she fulfilled her childhood dream. We included this African successful businesswoman in this list because we believe that dreams can turn into reality in case of hard work. So, keep believing in your power, ladies! Women’s Education Is Of Significant Importance | Still, Thousands Of Girls Face The Gender Inequality In Education Today! Business Grants for Women That Will Help to Develop Your Start Up Business: Find 7 Funding Programs here!